An Ohnward Bancshares team member recently obtained a new certification. 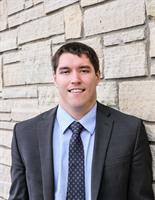 Nick Clasen, of the Ohnward Cash Management Solutions team, recently passed the Certified Treasury Professional certification exam to obtain his CTP Certification. The Certified Treasury Professional designation serves as a benchmark of competency in banking and the financial services industry. It is recognized as the leading credential in corporate treasury worldwide. Ohnward Bancshares President Brigham Tubbs said this certification is another way the Ohnward team shows its diligence in understanding cash management needs. Ohnward’s Cash Management Solutions team helps businesses and organizations in managing finances. The team can help clients find ways to improve cash flow, cut expenses and maximize earnings. Ohnward Bancshares, Inc., a billion-dollar plus holding company with 19 financial offices in Eastern Iowa including Maquoketa State Bank with offices in Maquoketa, Andrew, and Preston; Ohnward Bank & Trust with offices in Baldwin, Cascade, Monticello, Marion, Central City and Cedar Rapids; First Central State Bank with offices in DeWitt, Long Grove, LeClaire and Eldridge; Gateway State Bank with offices in Clinton and Goose Lake. Trust services are offered through all banking offices under the Ohnward banner, which includes Ohnward Insurance Group, Central Realty, Ohnward Financial Advisor Services, Ohnward Farm Management, Ohnward Tax, Accounting and Business Services, Vosler Investment Group and Ohnward Wealth & Retirement. Ohnward Bancshares, Inc., has assets of $1.1 Billion, capital of $150 Million and employs over 260 full and part time employees. Ohnward is locally owned by shareholders living primarily in Jackson, Clinton, Scott, Jones, and Linn Counties. Bank management’s focus continues to be helping clients and communities grow and prosper. The banks and ancillary businesses have a strong record of community and economic development, and educational and cultural support within the markets they serve.